The Adventures of a Nose is a picture book about a Nose looking for a place to fit in. The illustrations are BRILLIANT! I adore this title. To go along with the fun and quirkiness of The Adventures of a Nose, I have a fun collage project you and your kiddos might enjoy. 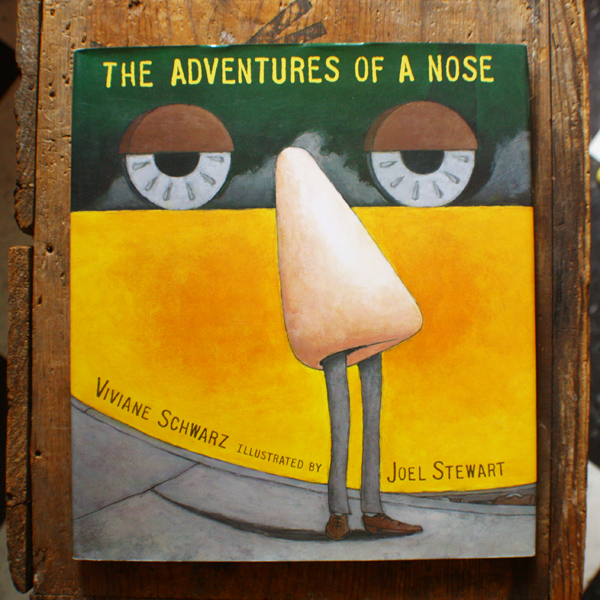 Have your kiddo go through some kid friendly magazines in search of their very own nose. They may cut out their nose with a pair of scissors. Taking a cue from the book, have your kiddo collage, draw or paint a background for their nose. Keep in mind the goal is to create a face from an everyday scene. Once they have their background ready, paste the nose into place and add legs. Ta-da! Or, as an alternative, they can create a paper doll of their nose and take it on its very own adventure via a walk outside or through another magazine. If you do this, I would LOVE to see your Nose! Enjoy! I didn't have time to create my own collage for you but I do hope you'll keep reading, more fun to come!